The 90’s kids knew how to be patient while browsing the internet on mobile phones during early days. But boy! how times have changed the patience levels. Today, we can’t even stand 3G speeds on our mobile phones, it’s just too slow for 4G phone users. Therefore, comes a 5G device from ZTE, which claims to offer Gigabit download and upload speeds. 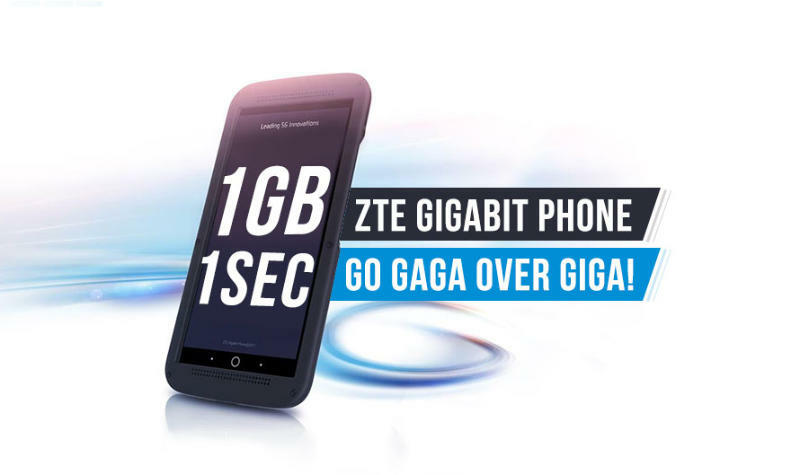 It’s aptly named as ZTE Gigabit phone. The Chinese smartphone maker unveiled this handset at MWC in late February this year. The much praised ZTE phone is claimed to offer speeds of 5G network. The brand has showcased their device with up to 1Gbps speed at the Expo. Supporting this speed would be Qualcomm’s Snapdragon 835 processor inside this Gigabit smartphone. Thanks to the X16 modem that offers Gigabit LTE speeds support. How does ZTE Gigabit phone achieve 5G network speeds? For your information, the company is calling their smartphone Gigabit, because it leverages all the available 4G bands and bundles them for carrier aggregation. In theory, this should be able to give you Gigabit internet connectivity. During the showcase at Barcelona event, the company has given live demos of the Gigabit phone handling Giga speed. What does the Gigabit Speed let you do? With Gigabit speed at your disposal, you could be able to create and live stream the 360-degree virtual reality. You wouldn’t want to buffer in your virtual reality, right! While the world is opting for cloud storage over portable hard drives for seamless connectivity with their data, it’s about time we had high speeds for instant cloud storage. With Gigabit speed on your side, you could achieve that easily. Upload, Sync and Collaborate at the same time. We are switching our entertainment to the next level with on-demand Ultra High-quality audio and video streaming online. To do that on a smartphone instead of your high-end PCs or Laptops, your device needs to be Gigabit enabled. The Gigabit speed would allow us to seamlessly stream that Ultra quality on-demand content. Is it Really a First Device with a Gigabit Speed? Big NO! To be honest, it’s not the first device to come with Gigabit Speed, at least not the first to widely available for purchase. Samsung has beaten them with their Galaxy S8 and S8 Plus smartphones. The new flagship phones from the South Korean giant equipped with Gigabit LTE and Wi-Fi speed. We uncovered this fact that most of the Samsung consumers are ignoring as they go gaga over the bezel-less design of the S8 Smartphone. 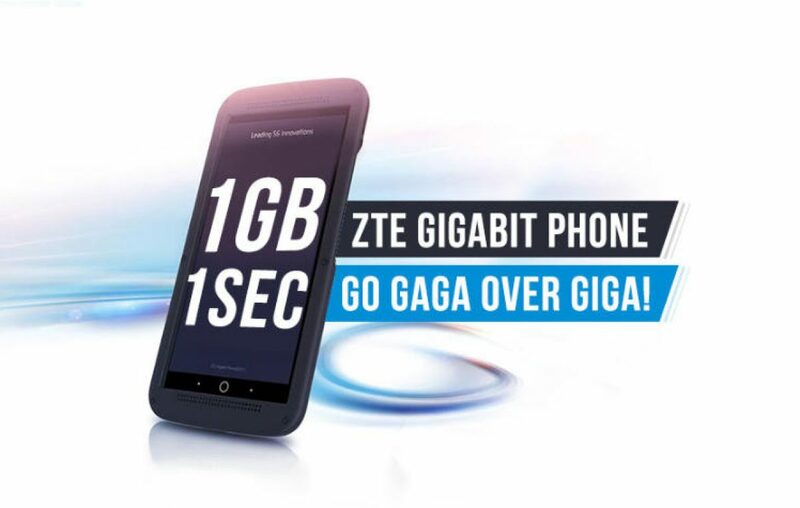 What do you think about the Gigabit phone from the house of ZTE? Is it really a game changer, or has Samsung shown who’s the King in innovation! Shoot your comments below. Next article Why Redmi Note 4X is a feeding of craze and ridicule! Gionee S11 Lite – Could it save Gionee from drowning in the Indian mobile market? Xiaomi Black Shark – Can it be the go-to gaming phone?